Now that Christmas is past, people are planning their New Years celebrations. Our contribution is a wonderful new cookie we discovered this week. 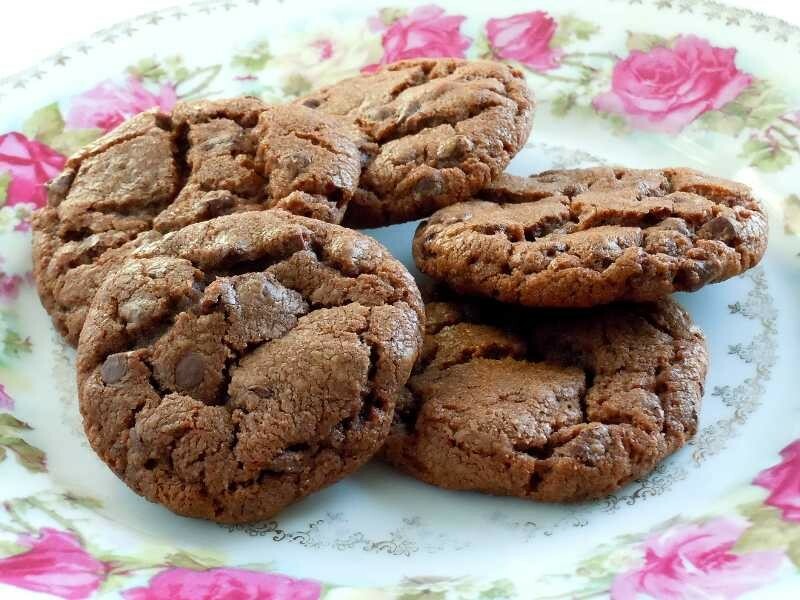 The original recipe is called Hazelnut-Butter Cookies with Chocolate Chips, from Bon Apetit. We didn’t have hazelnut butter handy, so substituted Nutella, and it was fantastic! Try these for New Years Eve, or any time! Sift first four ingredients into medium bowl. Using electric mixer, beat butter, hazelnut butter, and both sugars in large bowl until light and fluffy. Cover and refrigerate at least 2 hours (can be prepared a day ahead, if kept refrigerated. Soften dough slightly at room temperature before shaping). Line two baking sheets with parchment paper. Using 1 level tablespoon for each cookie, roll dough between palms of hands into 1-inch balls. Arrange 1 inch apart on prepared sheets. Bake one sheet at a time until cookies are golden brown, about 12 minutes. Let cool on sheets on racks 5 minutes, then transfer cookies to racks and cool. Option: You can also add 1/2 cup skinless, chopped hazelnuts when you add the chocolate chips, for a nuttier cookie. Crunchy on the outside, soft and delicious on the inside.